Celebrate 20 years of diversity, culture and community pride through a day of fun, entertainment and community building for all in Fleetwood. Whether you are watching the diverse performances at the main stage, checking out local groups and organizations or enjoying yourself on one of many fun filled activities, everyone will have something to enjoy! 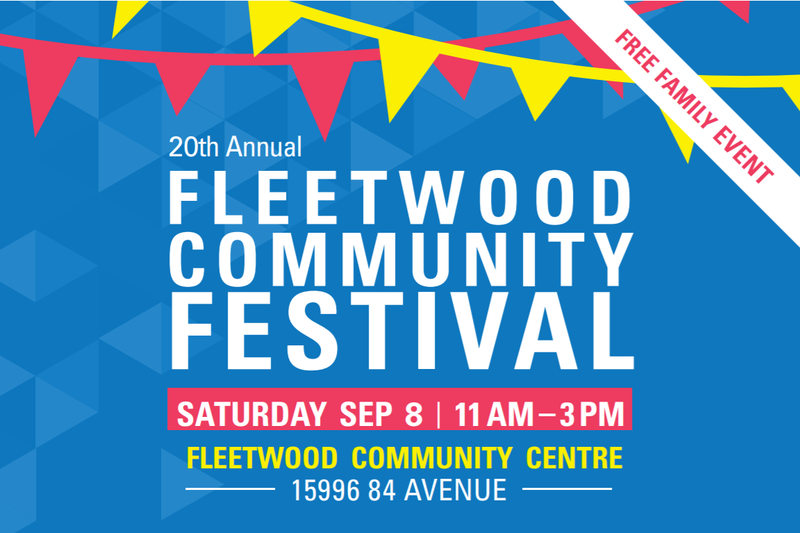 The festival will be hosted in the Fleetwood Community Centre on September 8, 2018, 11:00 a.m. to 3:00 p.m. Applications are now open to become a vendor at the first annual Fleetwood BIA Marketplace at this year’s Fleetwood Festival. This is a fantastic way to advertise and create visibility for your business, as well as to partake in this wonderful community event. We also welcome home based businesses to apply. To apply, please fill this application form out and we will be contacting you as soon as we collected all the applications. For more information regarding the application process, contact engage@fleetwoodbia.com. community organizations and groups. The festival celebrates our local community by providing a day of free, interactive programming for local families. This hugely popular event regularly attracts over 4,000 people of all ages for a day of entertainment, interactive resource booths, children’s activities, food and much more! sponsorship of a specific activity or performance or in-kind donations that could include food and beverages for the volunteers. Please find a list of sponsorship opportunities available for your consideration attached.